This page lists our major products. We accurately understand the needs of our customers and develop and sell high-value-added products. We offer an affordable price by offering no-frills, minimal equipment! The feed‑in part, which achieves what cannot be done manually, is exactly the same as that found on the standard model. The simplicity of the device means no break-downs. We recommend this product for small-scale production. 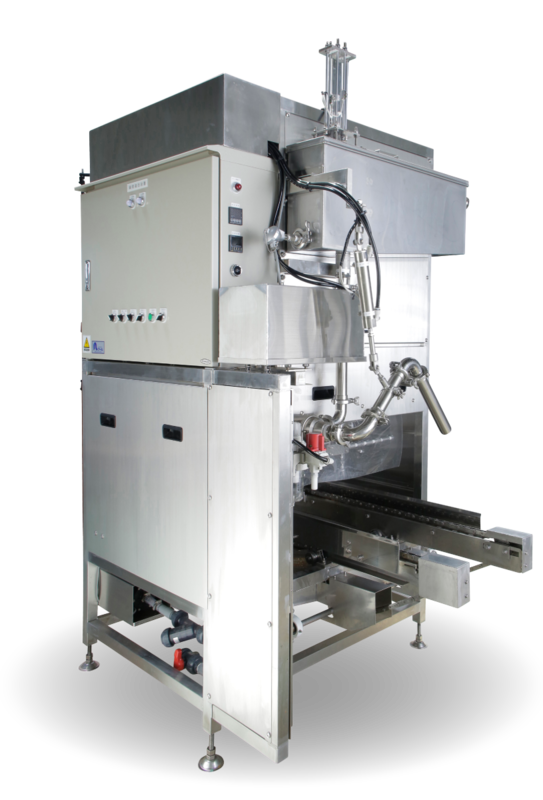 We have developed this industry-first automated device ahead of our competitors, who are still producing the bucket‑type coagulation devices now used in tofu factories. 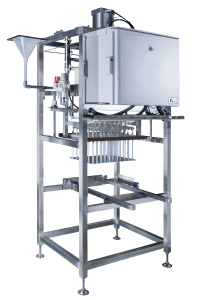 We have made it so that anyone can easily perform the feed-in (coagulation) work that used to require the skill of a master. 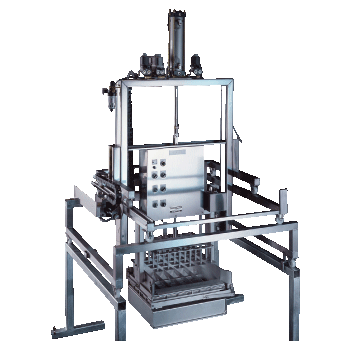 Because R’s revolutionary, industry-‑first rail-‑driven press machine, which does not employ chains or motors, was simple and easy to clean, various manufacturers now manufacture similar products. R also deals in oval presses and various other forms. Esper Scutter Cuts tofu just by passing it among interlocking blades that move back and forth! 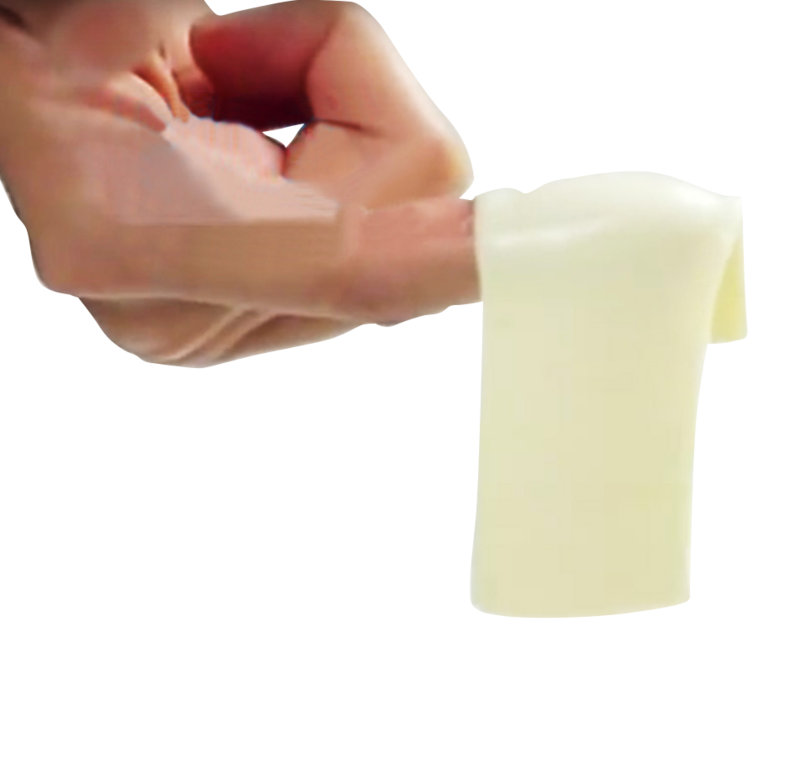 Allows for accurate cutting of tofu without loss. 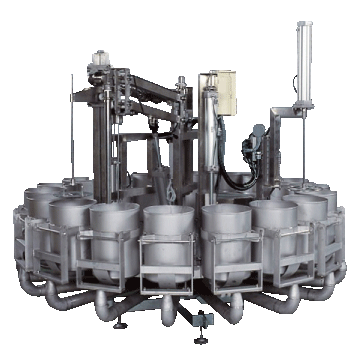 We carry a wide variety of tanks -including net tanks- notably including a type with a movable punching board. 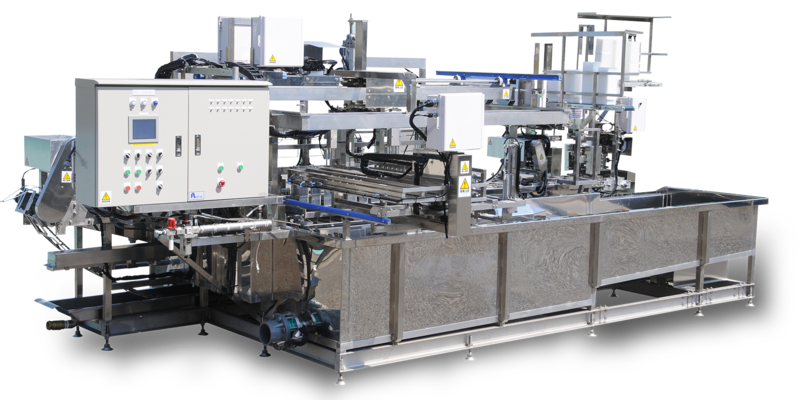 *If you request automation, we will plan, design, and manufacture original equipment tailored to your needs. Please feel free to tell us what difficulties you face and what you want from your equipment.